The second one called Indigo cooler. In the video below, published by Bill Gates’ “Gates Notes” channel, you can see how it works and why it’s important. Bill Gates introduces the Indigo, the remarkable invention that uses no electricity, no ice, and no batteries to store vaccines at the precise temperature required to remain effective. Indigo cooler keeps vaccines cool without ice, electricity, or batteries, and it is light enough to wear as a backpack. When exposed to a heat source, water inside its walls evaporates and moves into a separate compartment. It can then sit on a shelf for months after heating, ready for use. When it is finally time to head out to the children, you open a valve, and the water starts moving back where it started. Because the pressure inside the Indigo has been lowered to the point where water evaporates at 5° C, the water particles take the heat with them (the way sweating lowers your body temperature) and cool the storage area down to the perfect temperature for vaccine storage. It seems Indigo cooler uses the same principle as the thousands-year-old “Zeer pot” or “pot-in-pot refrigerator”. Zeer pot is a type of evaporative refrigerator. It uses a porous outer earthenware pot (lined with wet sand) containing an inner pot (which can be glazed to prevent penetration by the liquid) within which the food is placed. The evaporation of the outer liquid draws heat from the inner pot. The device can be used to cool any substance and requires only a flow of relatively dry air and a source of water. Despite evaporative coolers very rarely manage to keep temperatures as cool as our modern refrigerators, they are a neat idea and when used in the correct environments they can provide much-needed cooling for a very little cost. 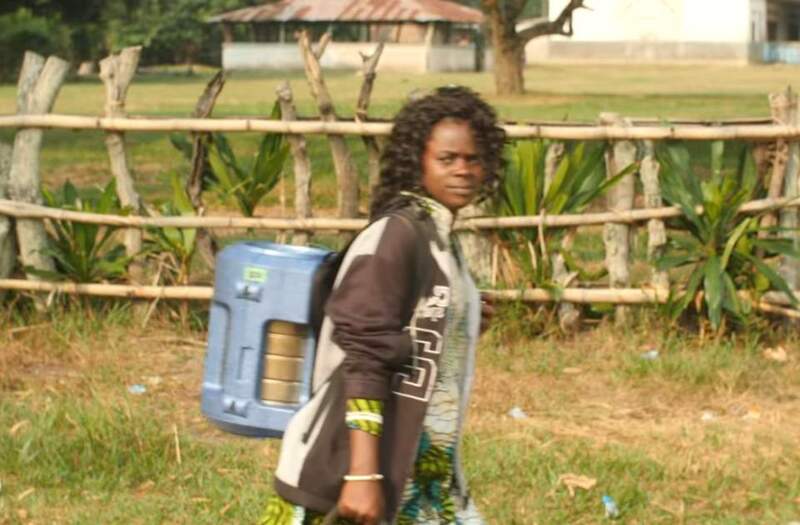 The Indigo cooler is in the field trial phase, but according to Bill Gates, “the data suggest that the Indigo is allowing vaccinators to reach four times as many places as they could with the old ice-based coolers”. Indigo cooler keeps vaccines cool without ice, electricity, or batteries, and it is light enough to wear as a backpack. This engineering feat makes transporting vaccines to remote areas possible, for example, by motorcycle.